1. Trump: "I will be the greatest fake news producer that god ever created." 2. Trump: "I will be the greatest failing pile of garbage that god ever created." 3. Trump: "I will be the greatest economic nonsense producer that god ever created." 4. Trump: "I will be the greatest disaster that god ever created." 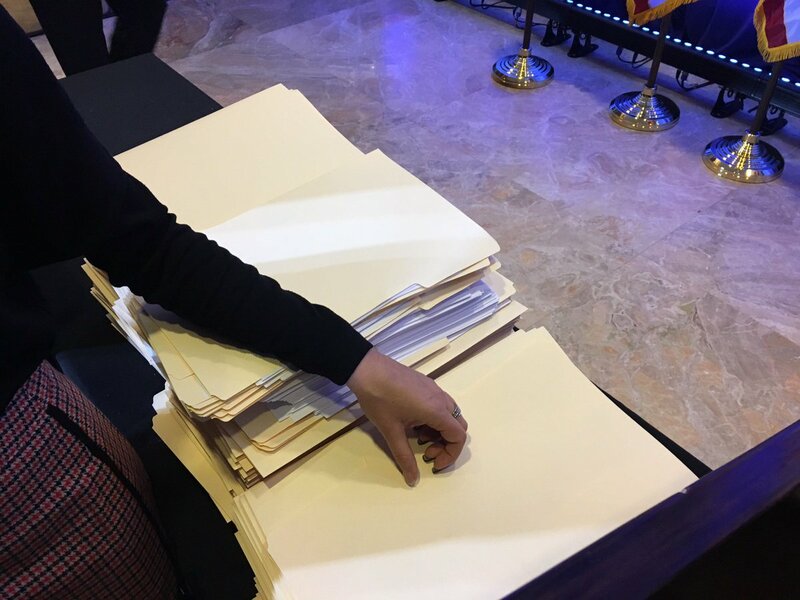 Der Aktenstapel den Trump neben sich auf dem Tisch aufgebahrt hatte war auch Fake; leeres, unbedrucktes Papier war darin, siehe Photo :-O ;-) Mehr dazu aufFefes Blog. Video-Quelle: Donald Trump's first press conference as president-elect.